Enhance your home décor with Jaipur fabrics on Christmas Eve! Home / Bed-Sheets / Enhance your home decor with Jaipur fabrics on Christmas Eve! Over the past years, India has probably been in talks for its fabulous outfits revealing their old cultural diversities. Almost out of every city the city of Jaipur has been considered to be one of the richest with unique styles. Jaipuri fabric has been renowned all across the world. People from across the entire world visit Jaipur and get all such fabulously manufactured Jaipuri items. In earlier eras, Jaipur has been a rich kingdom of some varied emperors. Even after this long gap of time their fragrance can still be felt from their cultural style bed sheets, pillow covers, curtains, etc. Christmas has been one of the favorite festive across the world by many people. On this auspicious eve of Jesus Christ birthday, people usually decorate their homes and surroundings with beautiful items. They get them from various parts of the world. India has eventually risen to greater heights for its varied styling techniques and color. Jaipuri fabrics usually make use of the techniques of handmade printing for their items to be easily crafted upon. Various craftsmen of Jaipur usually focus mainly upon their enthusiastic rich dynasty. Jaipuri people probably make use of solid colors in their printing techniques for further enriching their designs with extra beauty. Jaipur city is mostly renowned for their cultural resources; thus, the people can eventually get a chance of feeling their past essence very closely. Bed sheets are being crafted over by the talented craftsmen. Artisans probably craft their own imagination over the sheets of cloth in a unique manner. Selling of products online helps customers to enjoy the service anywhere at any time. Though a Jaipur fabric is quite costly and expensive thus makes your house look stunning and outstanding offers. The printed patterns differ from all other previous mono prints items. 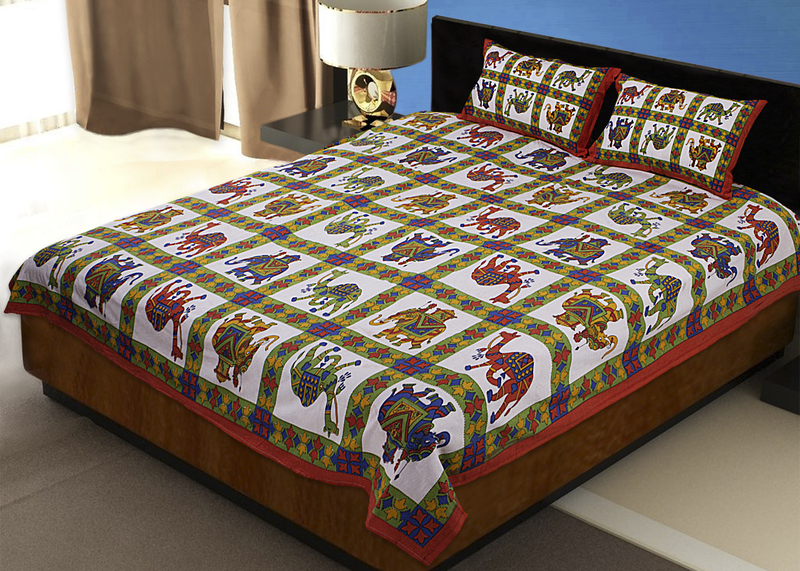 At a festive season, Jaipuri fabrics astonish your décor and attract the visitors at your home. People get a chance of selecting their own taste of items from numerous collections of stores. Thus, it has been considered to be the best Christmas décor for homes giving them rich dynasty look. Thus purchasing cotton Jaipuri fabric at a stunning offer rate are the finest art of décor to make you feel special and stylish. They eventually raise your standards of living to a higher extent. This diversity proved fabrics can make you feel luxurious and stunningly satisfied in front of your guests.